Death Valley National Park bills itself as “highest, driest, lowest” — characteristics that can cause a real threat to tourists who lose their way. That’s just what happened to a lost hiker this month, National Parks Traveler reports…until a group of feral burros unknowingly saved his life. The park is full of risks for visitors. In 2009, a representative told the Las Vegas Review-Journal’s Henry Brean that two visitors die per year, on average, at least one from dehydration. That’s no surprise in a park that’s recorded the hottest temperatures ever measured on earth, but heat and long distances often catch tourists off guard. When the visitor set out for a hike from the Saline Valley Dunes in a northwest section of the park, he was already in treacherous backcountry. Things got worse when he became disoriented and thirsty, writes National Parks Traveler. That’s when he spotted a group of feral burros. He followed them to a water source where he waited for a full week. National Parks Traveler reports that when the hiker was finally found by park rangers, it turned out he was five miles from his vehicle. He had second-degree sunburns and a life-threatening condition known as rhabdomyolysis in which muscles break down. The wayward hiker may very well owe his life to the feral burros, but their role as savior for one hiker doesn’t mean they’re popular everywhere. The pack animals, which were brought to the United States by Spaniards in the 1500s, have been called “an invasive species” in places like Texas, where they take over watering holes, contaminate wildlife and crowd out other animals. 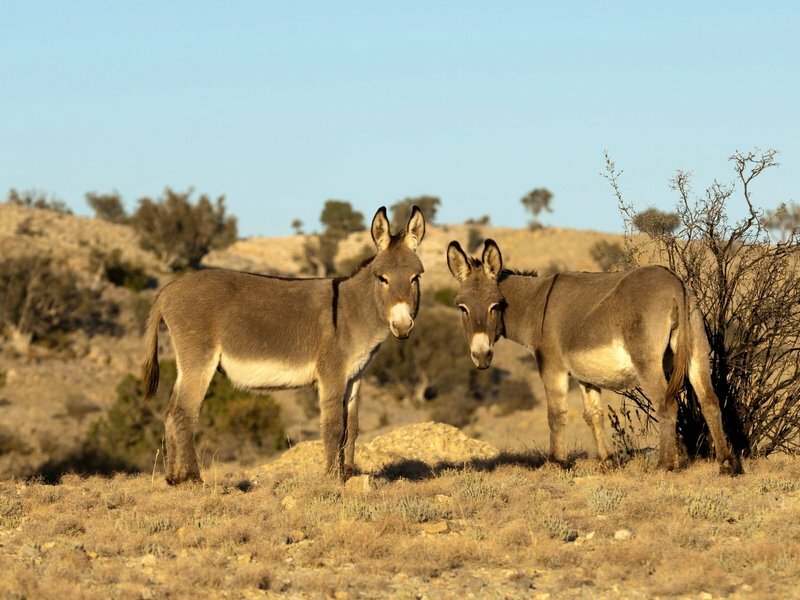 In national parks, reports National Parks Reporter’s Bob Janiskee, wild burros are “equina non grata” — they’ve even been the target of a “zero burros goal” in Death Valley National Park. Today, one hiker must be thankful that the park hasn’t yet achieved its target. WHY NOT HELP THE N.E.D.D.I. RESCUED DONKEYS?